I have always despised the question “What do you do for a living?” I am a firm believer one shouldn’t ever be defined by their job, no matter how hard you work to obtain the title (I worked hard for mine, just look at my career journal pages). My favorite question to ask is “What did you eat today?” This question can tell you a lot about a person and be a great ice breaker. Asking this question I have learned from clients which cafeterias, shelters, and churches offer the best lunches. Family, strangers and co-workers have shared restaurants and a host of recipes. This question also introduced me to my spouse, who rattled off things I only read about in Bon Appetite magazine. My spouse is a chef by trade- talk about winning a golden ticket. Like most people I had a laundry list of what I did and didn’t want in a spouse, but this was beyond my wildest dreams. Needless to say, this gift of a human made me want to up my culinary game; which is why we occasionally co-cook at home together. 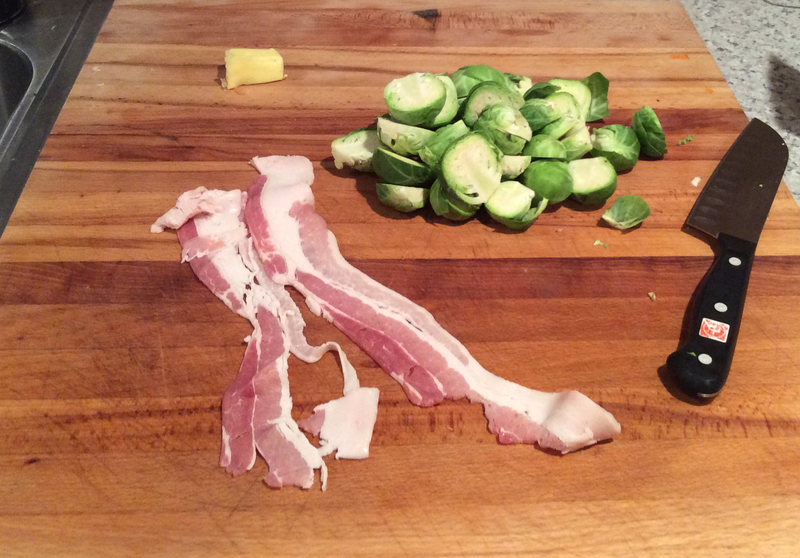 The best way to describe our co-cooking is Iron Chef (one main ingredient) meets Chopped. We’re beyond the mystery basket and have a pantry and cupboards full of randomness. We will just toss things together and pray they work. How else will you learn what doesn’t go together if you never try it?) 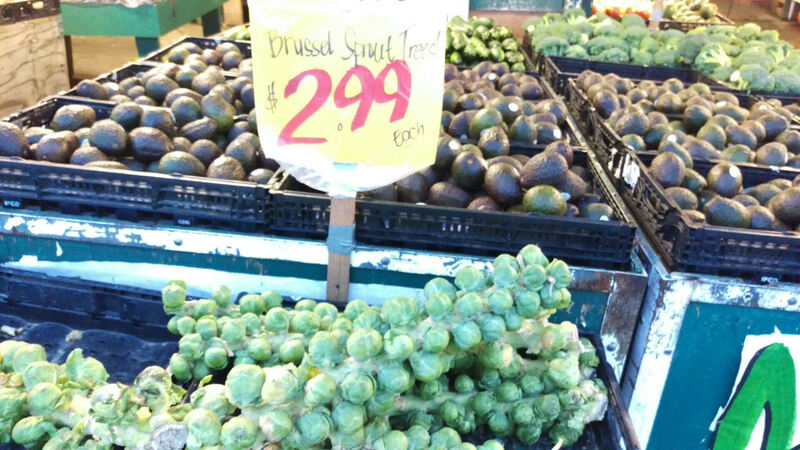 Today’s main ingredient is Brussels sprouts. I know a lot of people despise them. I never had them until a few years ago, and I loved them. My spouse thinks they are a holiday must. I say that is green beans, but that’s another post. 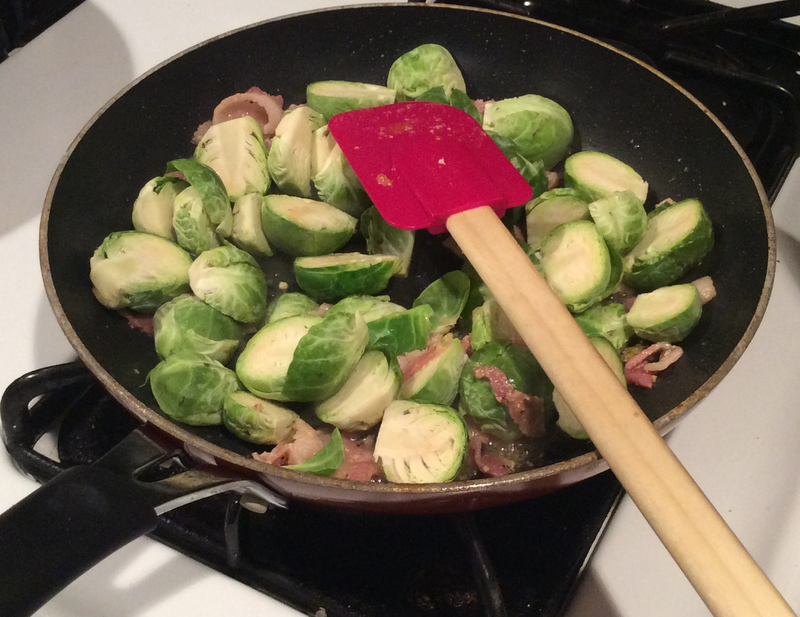 How we made a quick dish with Brussels sprouts- the idea here is to use whatever you already have. If you want a more traditional recipe, here you go! 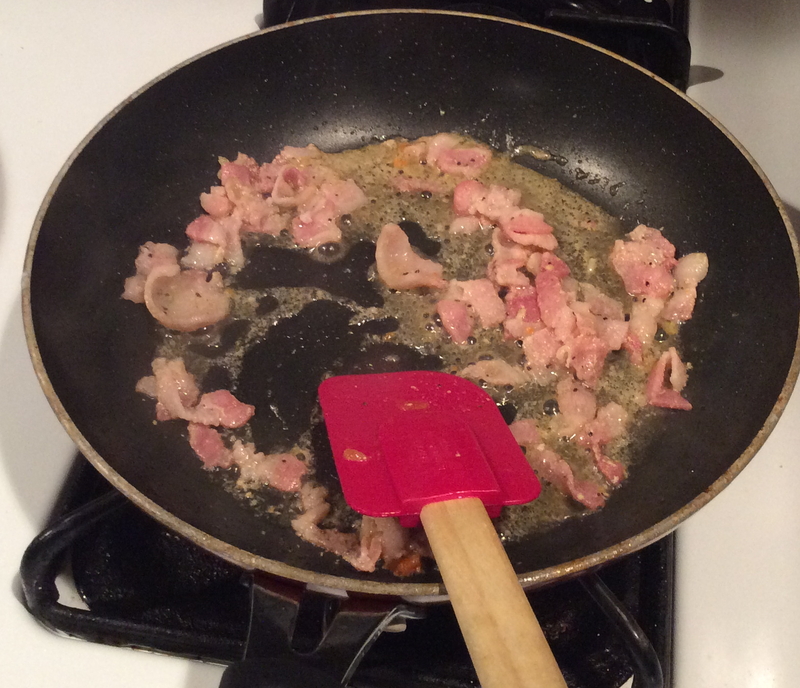 In a large skillet, cook bacon over medium-high. 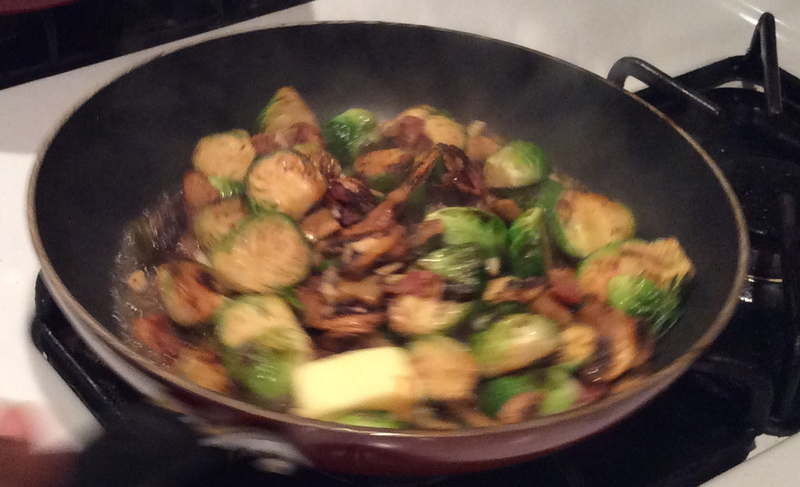 Add Brussels sprouts. 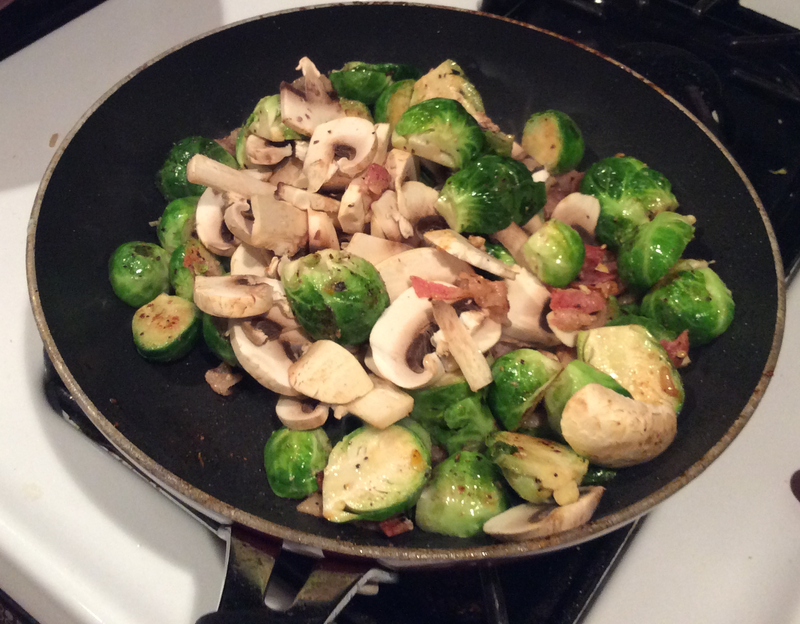 Once Brussels sprouts start turning golden brown, toss in your mushrooms, season with salt and pepper, and cook. 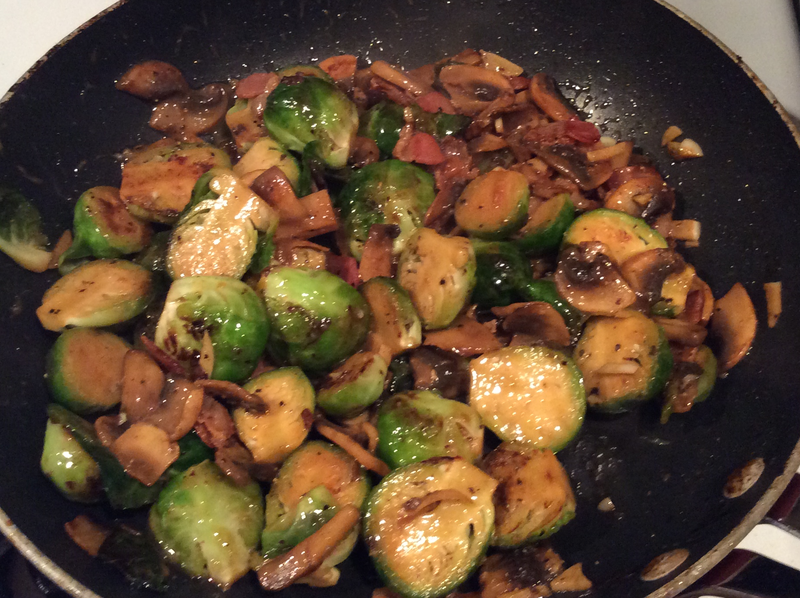 Stir frequently until caramelized, eight to 10 minutes. Add 1/3 cup wine, one tablespoon of butter, and chopped garlic. Toss and cook until evaporated, about 2 minutes. Bon Appetite! 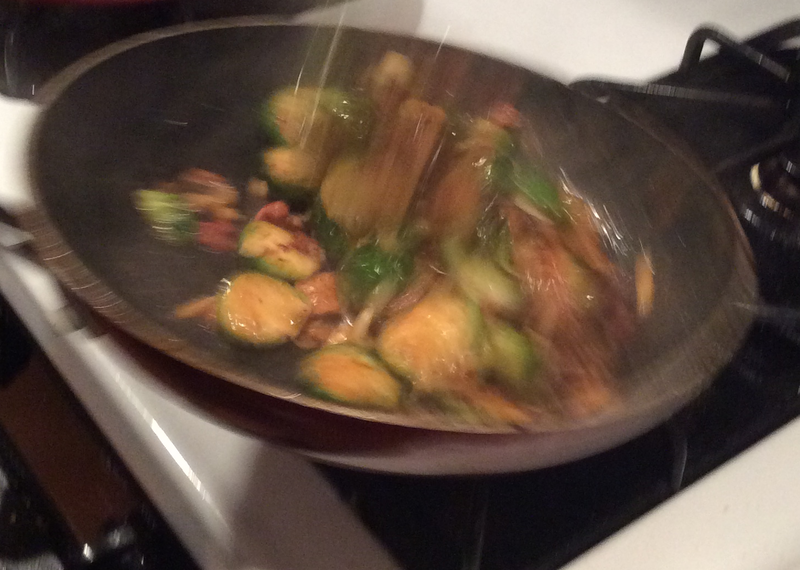 This entry was posted in Kitchen Adventures and tagged Bon Appetite, brussel sprouts, co-cooking, cocktails, family, farmers market, food network, Networking, realationships, recipes, sides. Bookmark the permalink. 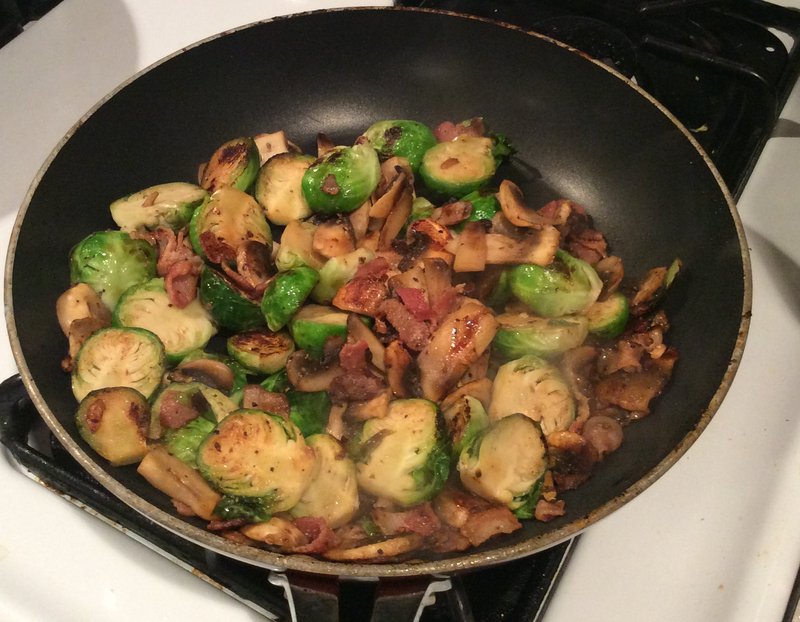 I don’t eat bacon, but those look delicious besides that 🙂 I love Brussels sprouts, but I hated them as a child, it’s funny how tastes change. I am sure you can omit the bacon. Thank you for reading.